When The Districts’ Rob Grote and Braden Lawrence attended a Daniel Johnston concert as teenagers, Grote remembers dreaming of a day when they could be a part of Johnston’s backing band himself. Little did he know that, in a few years, he’d not only get the opportunity to be a part of a rare Daniel Johnston tour, he and his band would pretty much direct the entire evening, albeit with a little help from some local friends. UPDATE 2:27 p.m. – As Brendan Lukens tweeted this afternoon, these shows are the band’s last for the forseeable future. Philly indie rock darlings Modern Baseball have been on hiatus since the winter – and today, we’re happy to report that they’ll return to the stage for a three-night stand at Union Transfer. This comes on the heels of its stint backing Daniel Johnston at The Tower in October — the band and friends will headline on Friday, October 13th Saturday October 14th and Sunday October 15th. Tickets are on sale now at Union Transfer’s website, and will probably sell out mad fast, so act quick. 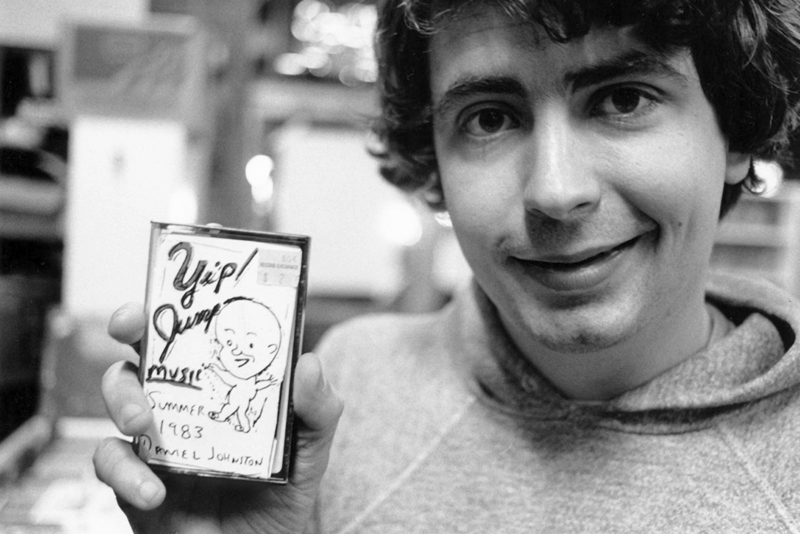 To call Daniel Johnston an influential songwriter is kind of selling it short. The man pioneered DIY before it was called that, dubbing self-produced cassette releases in his parents’ Texas garage, playing on the sidewalks of Austin and the sidestages of artists who would go on to be icons of modern rock. His songs are sensitive, introspective and imaginative, and his releases have been historically imbued with his singular visual art sensibilities. He’s persevered through mental health struggles, he’s had fans in Kurt Cobain and Conor Oberst. 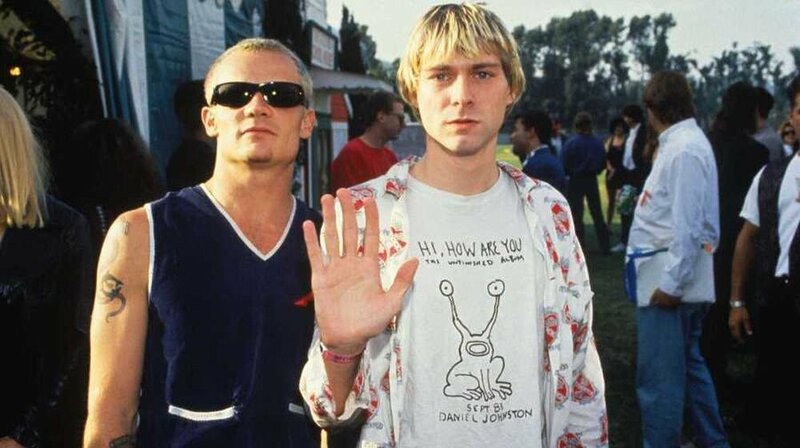 And he was the subject of a compelling documentary, The Devil and Daniel Johnston, which introduced his work to a whole new generation of fans in the aughties. Since 2014, Illinois-based label Polyvinyl Records’ Single Series has been putting out monthly exclusive singles from their favorite artists, all recorded on the same Tascam 4-Track cassette recorder. We’ve already gotten dual singles from Ra Ra Riot, Tim Kasher, and Joyce Manor this year, and we just got word that Philly favorites Japanese Breakfast are this month’s featured artist will be featured in the series later this year. In addition, Modern Baseball, Beach Slang, Owen, Jay Som, and more are coming out with singles in the next couple months. Really, I cannot begin to imagine the intense pressure and stress and emotional drain of being an artist that hundreds of thousands of people adore. Your fans look up to you, they rely on you for an escape from or a catharsis of the negative energy in their lives. They rely on you for guidance and strength. But you’re human too, and you’re grappling with the same issues. Philly indie rock four-piece Modern Baseball has always been up front and heart-on-their-sleeve about their feelings — it’s what sparked that connection with a massively devoted fan base in the first place, and what keeps it going. When the band launched their album Holy Ghost last year, they were very open about its true-to-life content: struggles with depression and mental health, for singer-guitarists Brendan Lukens and Jake Ewald alike. When Lukens decided to sit out of the band’s European tour this winter to focus on his mental well-being, it was the right decision — not just because we care about Bren and want him to take the best care of himself possible, but because it was a good lead-by-example moment. Acknowledge when you need to step away, acknowledge when you need help and accept it. Modern Baseball is heading across the pond with Thin Lips and The Superweaks — but they’re making the run a member short, as guitarist / vocalist Brendan Lukens announced today he was not joining the band on the European tour to focus on his mental health.